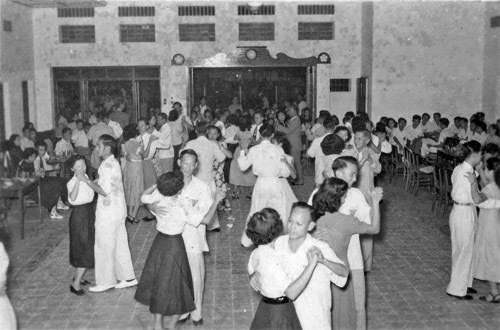 Once upon a time, at the YMCA in Ipoh…..
….men and women (young and old) danced the night away! Was it a competition, or just another social event? When was this event held at the YMCA? Perhaps, some of you out there are in the picture! It’s 1980 and Time for IceCream! But Where is It? Are you still in Ipoh or else where. I would know more about your time at the IPOH YMCA. Would you kindly response so that I am make appointment with you to meet you. YMCA is now planning the Centennial Celebration. You may be able to help us. do you still go dancing today? i admit, i’ve never really been dancing. (i won’t be surprised if i find myself with two left feet too!) yes, i’ve heard of people who met their future spouse at such social events – i know a few couples who STILL go dancing inspite of being in their late 60s! Ipohgal I don’t have so much romantic notion on the dance floor. Come to think of it, I only drive all my potential beaus away when I dance. Hahaha….. I can only attract people with my jokes and stories. I am the outdoor type. Just a knapsack on my back, travel and camped when I was young. There are pros and cons of going to such social events and also to dancing schools. Pros is the chance of meeting more different people but beware of the cons – “ham sup” guys more interested in staring at your buxoms and holding tightly to your waist than concentrating on synchronizing with your steps! Hahaha…. Just a short note to let you know that I met my wife on the dance floor of Blue Moon (now gone) in the KL Equatorial Hotel. It was a Cha Cha and I was with my Chinese friends from a KL dance school and she was visiting from Ipoh for the weekend. One of the dance instructor was Mr Teh Chin Seong. He was also my mathematics teacher in MGS. During the school’s 80 anniversary, he perform the waltz, chacha & one more dance which I cannot remember. Hi S Y Lee. do they still have classes at the YMCA? For your information, those who know the late Mr. Teh Chin Seong, he passed away this year! Yes, this wonderful specimen of a teacher, sportsman, St. Johns’ officer and dancer will always be remembered! MGS girls, Ipohgal, scandles, Alexandra, watch out for more news about your wonderful school, MGS here soon. In my series of blogs here, I’ll be featuring MGS a lot and I was a teacher there too for many years! thanks S Y Lee. i shall pass this information to my friend, who is keen on learning ballroom dancing! Hi Alexandra, yes, we tend to pick up our teacher’s phases when dealing with youngsters because such phases were ingrained into our brains, so much so that they just came out from our mouths automatically! Hahahahaha, by now I am sure you knew that it will take more than a pair of dancing feet to impress a girl! A better stategy would be to make her laugh more or show your sincerity. Better luck! Well ,as you can guess , I didn’t get much into dancing ; tromping , marching and hiking – yes ! How sad to learn of the passing of one’s relative on this forum. Teh Chin Seong was my uncle (my late mum’s first cousin). I didn’t realise he’d passed away. I’d not seen him since the ’80s when I left Malaysia. Hi ipohgal…thanks for the link…the versions are much more subdued but no less intricate. To Phoebe, my condolences to you. He will be remembered, even in my case where I had no direct contact with Mr. Teh as his reputation preceded him, in a good way of course. Felicia, if your friend is interested and she/he is over 50, she/he can also join the Senior Citizens Club. If under 50, can be an associate member. 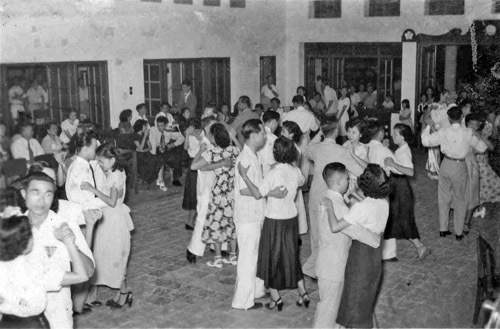 Among their activities are singing (old songs, of course) and ballroom dancing and also line dancing. Membership is not much. Only problem is after making new friends, they may go off. Once a year, at their Annual Dinner, they display their skills at dancing. Yes, I’m so sorry to learn of Mr. Teh’s demise just now. He was, if my memory serves me right, my Maths teacher in Form 4 too, back in 1968. Wow, no wonder I almost cannot remember! UV, just finished reading Episodes 1 and 2 and looking forward to your contributions on MGS. You were also my Georgraphy teacher and a good one too! Thanks for the memories from one too far away now but reminiscing in “cyber” form.